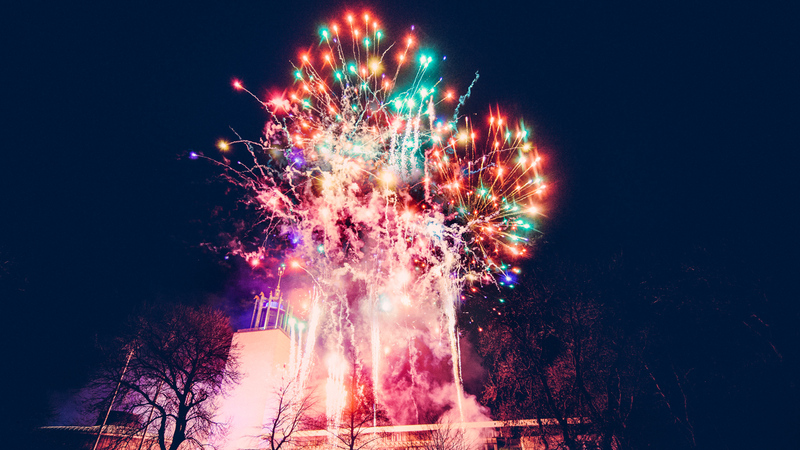 To bring in the New Year with an early evening parade and family fireworks display, and a midnight firework display visible from both sides of the Tyne, commissioned by NewcastleGateshead Initiative, and working with Newcastle City Council’s Arts Team. Parades and carnivals are in our blood, and we’ve always been fascinated by the way in which they bring both participants and audiences together to enjoy the spectacle of incredible costumes, unusual moving structures, music and performance along streets normally filled with cars. 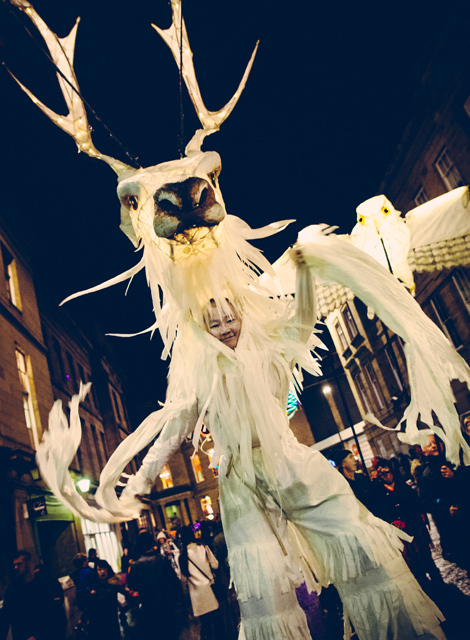 The addition of darkness (and the unforgiving chill of the North East), not to mention the gathering anticipation of an imminent new year gave our Wild Beasts and Dark Streets Winter Carnival, now in its fifth year, an exciting mix of drama and magic. 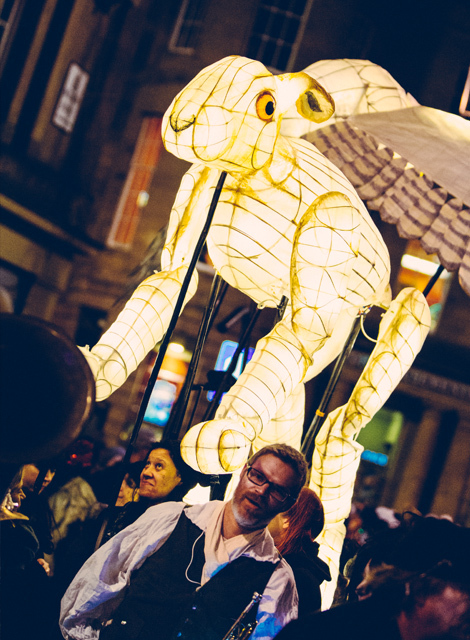 As with our Manchester Day parade held in early summer, the winter carnival is built on our proven model of collaboration between artists and local community groups to create amazing costumes, mobile structures, music and mass movement. Our aim, as always with parades, is to create unexpected spectacle for visitors and to provide a platform for creative self expression from participating groups. The 2015 parade built on the traditions of European folklore where beasts are taken through the streets on New Year’s Eve to ward off evil spirits. Featuring a burning cauldron, dancing bears, illuminated street bands, and a retinue of scary monsters, our beastly carnival was a crowd-pulling spectacle that ended with a stunning fireworks display above Newcastle Civic Centre to a soundtrack that inevitably included The Kinks iconic ‘Wild Thing’. Several hours later, we created a blast of fireworks against the dramatic backdrop of the city’s Baltic arts complex and Millennium Bridge over the Tyne to herald in 2016.